Last night, The Royal Opera's Parsifal was screened live across the world as part of our Live Cinema Season. The screening follows the launch of the ROH’s Wagner appeal, which raises funds to keep Wagner’s operas alive. Find out more details about the Live Cinema Season 2013/14 and sign up for the ROH cinema newsletter. 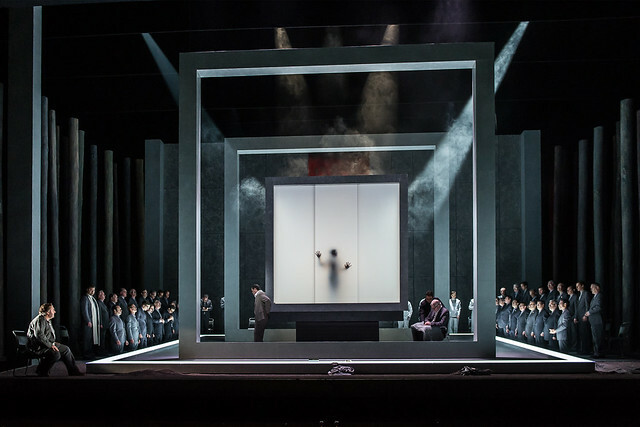 The next live screening will be The Royal Opera’s Parsifal on 18 December. The Royal Opera House Cinema Season is supported by Bank of America Merrill Lynch.